Description: Nina Hazel was my husband's grandmother. She gave me a scrap box of fabric bits left from quilts made by her mother, Effie. 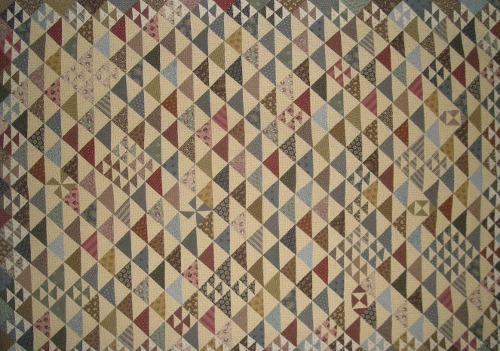 It is a treasure for me to have a connection to family quilters of the past.